Proof your toddler's veggie-aversion isn't your fault! 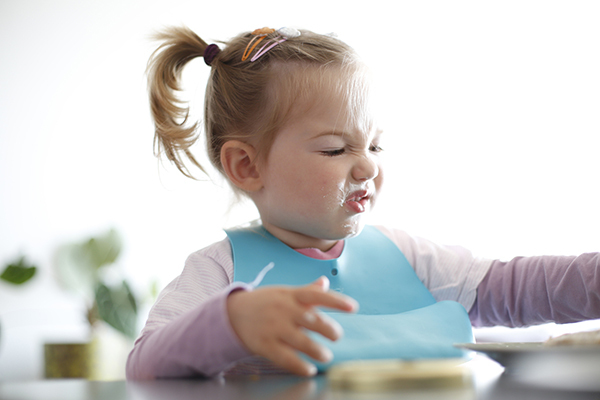 Proof your toddler’s veggie-aversion isn’t your fault! Whenever my toddler turns up his cute button nose at the veggies on his dinner plate, I remind myself that his picky eating isn’t my fault. You see, I read the science behind his fussy ways a while back and now I feel totally vindicated as his mum. 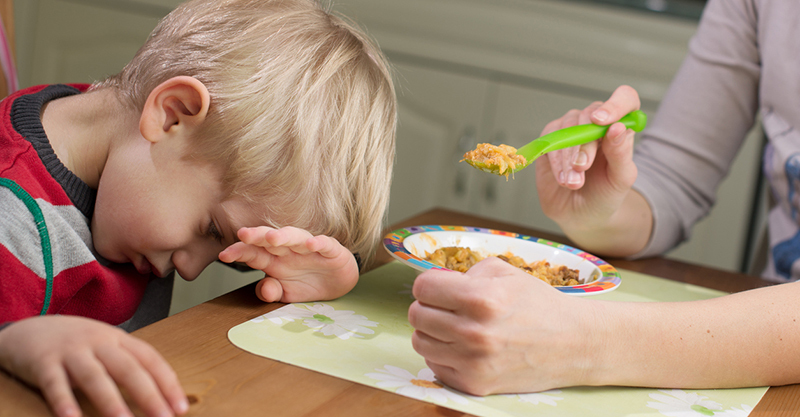 If you also have a veggie-allergic toddler, then I want you to know something: science says you are not failing your kiddo in the nutrition department. He’s actually a product of evolution and his dinner antics are NOT. YOUR. FAULT! It’s true. Read on. At around 18 months to six years of age, something rather stupid (in my opinion) of mother nature happens: vegetables start to taste more bitter to little kids than they do to adults. Knowing this alone explains why your once-veggie gobbling baby won’t have a bar of them now. As to why this is so? It’s all evolutionary says scientists. In order to alert us that something might be potentially dangerous to eat, say a poisonous plant, it tastes bitter. As such, many vegetables contain this bitter ‘warning, warning’ compound. As an evolved species therefore, we have learned not to touch anything that tastes bitter – think of the way your toddler seals his lips when you try to feed him broccoli or brussels sprouts. Not only do they taste more bitter, but scientists have also found that toddlers are wary of even touching them. “What a surprise,” said no parent doing dinner battles ever! This was confirmed in a 2014 Yale University study. At the university’s Infant Cognition Centre, 47 eight to 18-month-old toddlers were observed responding to real verses artificial plants. “The children in the experiment showed a ‘striking reluctance’ to touch (the real) plants”, the psychologists noted. Their findings suggested that vegetable-aversion behaviour is programmed into children from birth to avoid them being harmed or poisoned by flowers or plants. So this stupid genetic programming of our kids to dislike certain plant-based foods means that our little ones are often refusing to eat the ones that are safe and indeed good for them. Humph. Way to go nature! “In modern Western circumstances, plants are often peripheral to daily life. They may be encountered only in well-manicured lawns and parks, or as already-harvested fruits and vegetables in the grocery store. “Throughout human evolution, plants have been essential to human existence. So there you have it, little ones who refuse to eat their vegetables are using their inherited survival instinct and are not just trolling you at dinnertime. You are a good parent and you are doing your best in at least trying to get your toddler to eat his greens. He’s just naturally wary of them and they also happen to taste bad to him – that’s all. Now, if you want some tricks for getting more veggie goodness into your tot, here are some ways to sneak then in as well as some practical advice from a professional nutritionist.